When you pay money direct to the LDC national booking office or online via this website it is held in a clients holding account (Clients Account). This money is being held on your behalf and mine. This money is not normally passed onto me until you sign a form instructing the LDC national booking office to do so in part or in full. At various points during the training, I will ask you to sign a form confirming your satisfaction with any training given. You should not sign this form unless you are totally satisfied with the training and want the LDC booking office to pass on sufficient money held in the Clients Account to cover the training time authorised. In the event of a complaint I would be extremely grateful if you would give me the opportunity to resolve the matter in the first instance. However, please do not let a problem linger. If you booked your course or lessons through the LDC you may contact the sales person who arranged your training in the first place for advice and help by ringing 01977 691851 or 01977 691850. If you booked directly with me LDC are unable to provide any form of refund and any action would have to be direct with me as the contract for service is between you and I - not LDC. 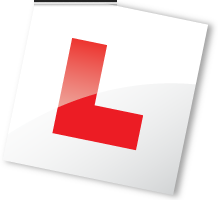 However, you may also complaint in writing to the LDC Franchise Manager, The Learner Driving Centre (LDC), LDC House, Stuart Road, Pontefract, West Yorkshire, WF8 4PQ or email quality@learnerdriving.com who will try their best to resolve the matter.